The Police opened the number of criminal proceedings for the attack on the MP of Cherkasy region. The press office of the General Department of the National Police in Cherkasy region reports. ‘The information on the attack and capture of the property of the suffered was received in the Police Department of Cherkasy region. An investigation group was urgently sent to the site of the incident. Perekhoplennia operative plan was introduced in the region,’ the Police claimed. As of now, the Cherkasy Police Department opened the number of criminal proceedings on the grounds of Part 4 of Article 187 ("Robbery"), Part 3 of Article 289 ("Illegal Conduct of a Vehicle") and Part 1 of Article 262 ("Abduction, appropriation, extortion of firearms, ammunition, explosives or radioactive materials or taking possession of them by fraud or abuse of official position ") of the Criminal Code of Ukraine. Currently, measures for the identity establishment and their detention are being undertaken. 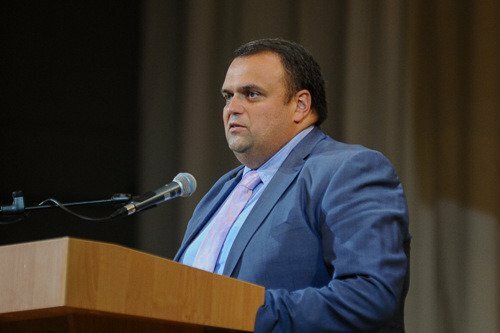 According to the local press, it was Pavlo Karas, MP of Cherkasy City Council who was attacked. Earlier, the member of the last convocation was brutally murdered during the robbery in Zaporizhia region.